Like I have always said, there are so many ways to get free internet, so many ways to trick your ISP. For the world to get to the next level, I believe information should be shared for free and not hidden within a cabal. The part1 tutorial I wrote on how to browse for free was widely copied by some people on the web and some people even complained that they saw my contents in the ebooks they bought copied word for word. I have no problem with copycats but all that is required is for you to give credits to the source. This tutorial can be used to bypass ISP’s security firewall and gain free internet while on the other hand it can be used to test the security flaws on an ISP network. I urge you all to click here to read the part1 of this tutorial and understand some basic principles on free browsing. Before proceeding, I would like to explain some terms that I would be making use of in the cause of this post. ISP: An ISP simply means; Internet Service Provider and they are the ones that provide us internet service to browse upon. Examples are Airtel, Orange, Mtn, Etisalat, Du, Reliance, Safaricom, Cellc, AT&T, Vodafone and so the list goes on. Free Page: A free page is a website that opens for free on your browser without consuming or using your data or call credit balance. It could be the home page of our ISP, a promotional site, a third party link sent to our phone but accessible for free, a subscription link to us by our ISP etc. Some call these free pages “free host”. Some of you might not know the free pages on your network but finding them wont be difficult because when you run out of data and credit you can simply try all those links sent to you by your ISP and you can equally try their homepage and all promo sites that points to your ISP. VPN and Tunnelers: Most VPN are not tunnelers but 90% of tunnelers are vpn . A vpn is an app that encrypt your internet connection and hide your online activities from your ISP while a tunneling app bypass your ISP’s firewall to gain free internet connection. A vpn can only use your data subscription to encrypt your network connection but it can NEVER provide you with free internet. On the other hand, a vpn that tunnels(tunnelers) can provide you with free internet. A vpn that tunnels if configured properly, the tunneling part forces an injection through your ISP firewall to give you free internet. Once the connection is established, your ISP can easily notice the huge traffic coming from your connection because you would surely be browsing and downloading and this is when the vpn parts comes in. The vpn hides your online activities, data usage and changes your ip address so that your ISP wont be able to track or trace you. Examples of VPNs are Express vpn(one of the best vpn’s), tunnel Bear, Cyberghost, Hotspotshield etc. Examples of tunnelers are Hex vpn(recommended), Netloop, Finch vpn, Psiphon vpn(basic) and Psiphon handler(advance), Your-Freedom vpn, NMD, Droid vpn, Troid vpn, open vpn and the list to these tunnelers goes on. Note: I wont be discussing the handler part of these tunnelers because the topic would be quite bulky and advance. The handler part involves extra-configurations that are advance and involves port scanning, getting proxy servers that can force a strong injection. All these would be discussed in the next part or in the free ebook at the end of this post. This is not a viral method used in getting free internet. In the reverse domain method, we use a site hosted on the same domain with our free site as our Host. I know that some of you would be getting confused with the terms I’m so I would be screenshots and a video to make this tutorial coherent. Our ISP usually have free websites that we access for free and these free sites could be our ISP home page, promo free page(jumia.com, wynk.com), Information(Wikipedia.org) etc but have it in mind that you are likely to fail when you use your network home pages for this method. Now what’s this method all about? In this method we don’t use the free site directly as our host because our ISP can easily figure that out, instead we reverse the method and get free internet. We ‘ve used this method to create free internet tricks for ISP’s like South African Cellc, Pakistan Telenor, Nigeria even those in Kenya also used this method(ismaelmukta.tk) but in the cause of this post I would be using Airtel NG to illustrate this part of the tutorial. Apps.ng.airtellive.com opens for free on the Airtel network and so instead of making apps.ng.airtellive.com as our host, we use another site hosted on that same domain. Follow the below procedures to understand and apply your own settings according to what you have. 3. When you click on Reverse Domain check you would see a rectangular space and the site name digg.com in it. Clean the Digg.com and type your own free site address there and as for me I typed apps.ng.airtellive.com there and clicked on check and so I saw so many sites appear below as you can see in the screenshot. 4. 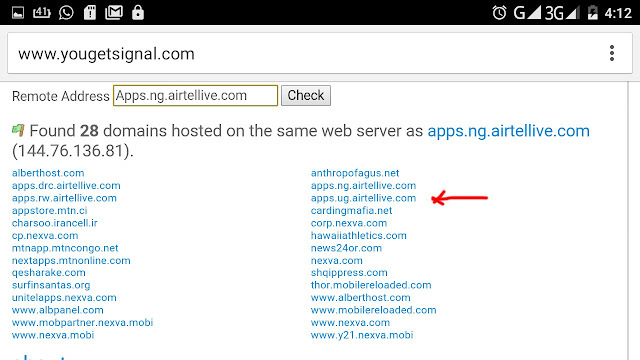 These sites that appear in the screenshot above are hosted on the same domain with apps.ng.airtellive.com. If you look at the screenshot you would see apps.ug.airtellive.com and that is what we would pick to make as our host. Follow the settings below and see how to apply the configuration according to your own Network. Look at the top of the app and you would see “start server” and a white button, swipe the white button to the right and your app would start its connection. This is a well known technique because it has so many ways that it can be maneuvered into getting free internet even without the use of tunnelers and handlers. In this method we also be making use of free page(s) because it’s the free page that can gain free access to the internet when we are out of subscription. In this scenario, your tunneling app fools your ISP into believing that you are browsing on the free site while in the real world you are actually browsing and downloading on other sites for free. I used this method to put some fellas through on how to get free internet on Philipines Smart communication network and this is how it was done. Gamex.ph is a free page on Phillipines Smart Communication network and the ip address of Gamex.ph is 125.60.167.6. Below is the settings on how we configured it. Select port settings and select tcp port, input your working number there but as for them they inputted either 443 or 80 because the both were working. 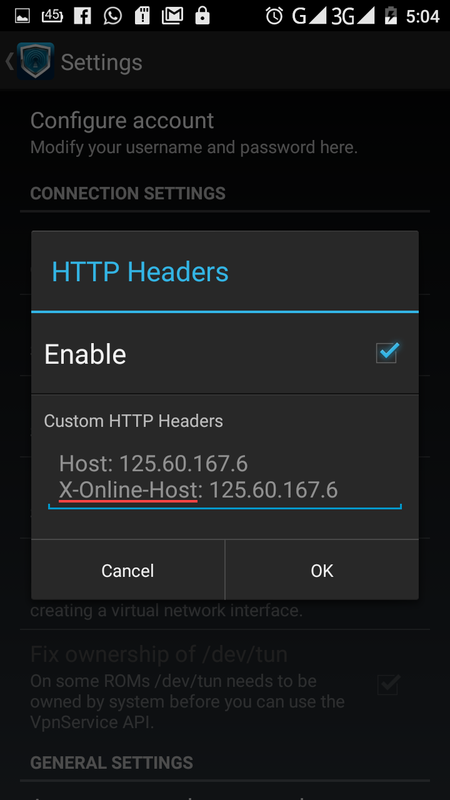 Scroll down and select “HTTP Headers”, tick on enable proxy. Below are the settings I gave them(Don’t apply the below settings but use it to learn how to create your own configurations). 7. Now save it and then return back and select any free server and connect and enjoy free internet. Note: This is just a basic tutorial on Droid vpn because there are so many ways to use droid vpn and gain free internet. It has the options of configuring your UDP and TCP proxies. The free trial subscription package is a method that most of us know but aren’t aware that it can be maneuvered to get free internet. There are sometimes when our ISP do send to us message about a new subscription package but they offer a free trial before you can fully subscribe to it. These messages usually contain a free trial activation code(s) or links to browse upon free and activate the free trial package. I remember when South African CellC was offering free whatsapp to its users last year, i created configurations using this method and it was confirmed working by those using Cellc and it lasted for 6 months until CellC ended the jamboree. This subscription package could be either music subscription, News subscription in which you would be able to go online and read news strictly on their site for free, or it could be a subscription to download apps or it could be a gaming subscription in which you have to go online and play for free. The main idea of this free trial sub is for you to have a link in which you can access for free. I believe that by now you would have understood what the free trial subscription is all about. Now let me explain how it works. This trial subscription is actually a subscription that is similar to a data subscription. When you activate this free trial sub is either you are given a certain amount of data or you are given somedays to use on the trial sub. 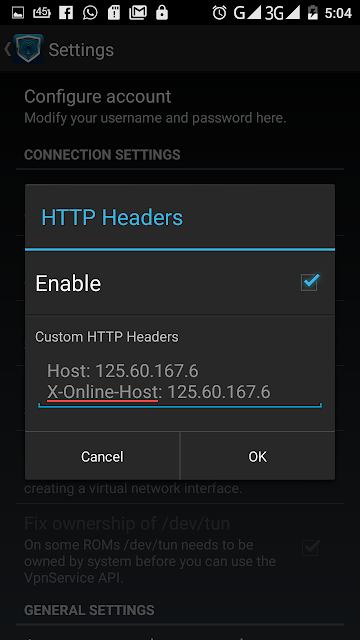 This method can be used to get free internet on our tunneler app when we make it our host. Note: It is possible to actually get free internet without subscribing to these packages but most people are more likely to fail when they do so, some might be experiencing constant disconnection. Let me take Airtel in my country and use in this scenario. 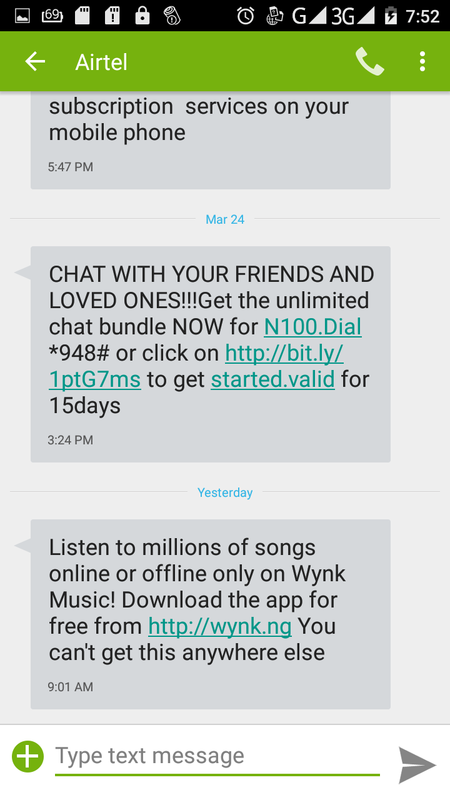 Airtel offers free music streaming trial for 15days on the wynk app and also the wynk site is accessible for free. Now getting free internet this wynk free page on our app is usually difficult unless a subscription is made to solidify the connection. This problem can occur on any network because even those using Airtel in India also experienced the same. This tutorial is actually an introduction to free browsing because virtually all the procedures deals with a host to get free internet but in my next tutorial we would be discussing advance methods in getting free internet such as getting proxy servers, applying extra vpn configuration on a tunneler app to get free internet, using strings to get free internet, using a Reverse proxy to get free internet and more. Please share this content and feel free to ask me questions relating to this topic! Click on the image below to visit our new website for more tricks! NOTE: This post is meant only for educational purpose and if you find this post offending then you can contact the admin of the blog. Great post. Expose all tricks...finally everyone can create their own tricks without pleading from others... cheers from Kenya! I really love this! Hope u dnt mind me republish this in my blog? +254741920511 add me. am yet trying this out. For airtel Uganda (wap.ug.airtellive.com) it connects at zero kb. Nice post @techfoe. This is quite a useful information. Hi I'm very motivated by your post. I want to learn more.please add me to whatsapp group +264812295737. However, It is popular. You follow the link who is the newbie. Thanks Pal, this is really a beneficial article and a superb post. Most people do not know How to hack proxy server? Have any Tutorial of you?